Dalal Street is abuzz with the strong debut of Bandhan Bank today. The stock of the private sector lender was trading at over Rs 497 on the BSE at 2.20 pm, compared with the issue price of Rs 375 per share. That's a neat 33% premium. No wonder investment advisors are excited about its prospects. Dalal Street is abuzz with the strong debut of Bandhan Bank today. The stock of the private sector lender was trading at over Rs 497 on the BSE at 2.20 pm, compared with the issue price of Rs 375 per share. That's a neat 33 per cent premium. No wonder investment advisors are excited about its prospects. In an interview to ET Now, Jagannadham Thunuguntla, senior vice-president and Head of Research (Wealth) at Centrum Broking, said that the Kolkata-based entity boasts a "unique banking model", pointing out that "they have graduated all the way from NGO to NBFC to a bank and listed bank". He added that "In this kind of market conditions, having a listing gain shows the kind of confidence that the market has on the bank." Why wouldn't it, when its financial figures are so strong? Bandhan Bank managed to grow its deposits from zero to over Rs 25,400 crore in just nine quarters. Then, for the nine months ended December 31, 2017, the bank logged net interest margin (NIM) of 9.86 per cent, return on equity (RoE) of 25.55 per cent and return on assets (RoA) of over 4 per cent. In fact, Bandhan Bank has one of the highest NIMs in the banking industry due to its high exposure to the microfinance sector that generates high yields of nearly 18 per cent. "We expect the NIMs to come down going forward as the bank becomes aggressive in retail lending. Private banks having high exposure on retail lending like HDFC, Indus Ind, Kotak Bank etc., have an average NIM of around 4 per cent. 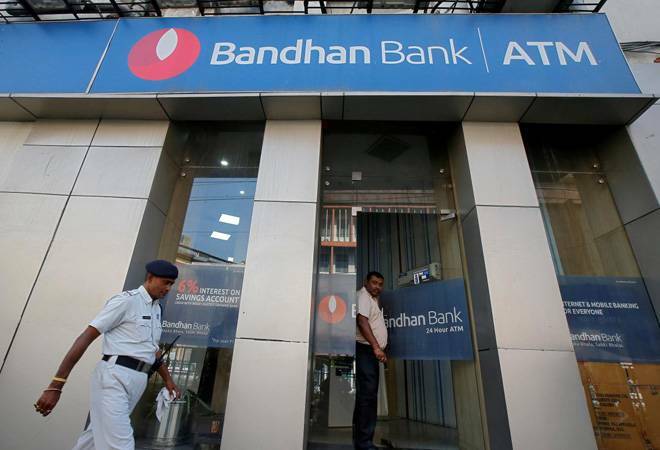 We believe that Bandhan Bank may still enjoy relatively higher NIMs as it may continue to have microloans as its core business," adds Smartkarma Insight Provider Das Capital Management and Advisors' recent report. Despite micro loans reportedly accounting for 98% of its loan book in the first 9 months of the current fiscal, it boasts the best asset quality among its peers with gross NPA standing at 1.67% as of last December. In comparison, the gross NPA of scheduled commercial banks hover at around 18 per cent. All the same, it's worth keeping in mind that its bad loans have been steadily rising -up from 0.15% in FY16 - in keeping with the sectoral trend. Bandhan Bank also has one of the lowest operating expenses in the industry. "General perception is running a microfinance unit will have more cost to income ratio but they are at 36% in comparison with other players at around 45%," said Thunuguntla. "The key reason for such a low ratio is primarily due to low overhead cost as most of the 864 bank branches and 2,546 doorstep service centres are situated in the rural areas of three states of West Bengal, Assam, and Bihar. As the bank starts focusing on other segments like retail lending and corporate lending, it would have to increase its exposure towards the urban areas that may eventually increase its overhead costs," explains the Das Capital report. The fact is 81% of the bank's advances coming from the three states mentioned above - largely underpenetrated by the banking network - is seen by experts as an opportunity as well as a challenge. The good news is that Bandhan bank's core market is reportedly growing faster than the Indian GDP, so its assets under management may grow relatively faster than overall industry. But, on the flip side, as the Centrum SVP points out, if anything goes wrong in east and north-east, say political issues, things can backfire. Nonetheless, in his opinion, "Any parameters - be it P&L or balance sheet parameters - definitely shows that they are head and shoulder above the remaining players in the game...depending on market conditions, in the next three-five years, it should be a good wealth creator".